EK Water Blocks (EKWB) releases a new monoblock with Digital LEDs for GIGABYTE X399 Socket TR4 motherboards. It uses a new and redesigned cold plate, an integrated 3-pin RGB Digital LED strip that’s compatible with the GIGABYTE RGB FUSION software to synchronize RGB lighting effects with the motherboard. The EK-FB GA X399 GAMING RGB Monoblock will support two Socket TR4 offerings from GIGABYTE namely the GIGABYTE X399 AORUS Gaming 7 and GIGABYTE X399 Designare EX motherboards. The monoblock was engineered in cooperation with GIGABYTE to ensure compatibility and to achieve the best cooling performance possible with the monoblock. The monoblock provides direct cooling to the AMD Socket TR4 processor as well as the power regulation module (VRM) as liquid passes directly over these critical heat-generating components. There’s also an included passive heatsink used for the VRM and network chip components placed between the I/O shield and the memory DIMM slots. The EK-FB GA X399 GAMING RGB Monoblock – Nickel is now available at the EK Webshop with an MSRP of €125.95/$139.99. 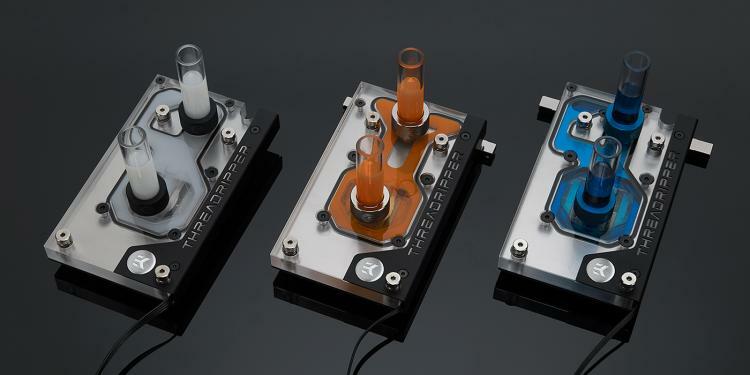 EK Water Blocks releases an apology over what they claim as a badly designed cold plate used on the previously released EK-Supremacy EVO Threadripper Edition CPU water block and X399 monoblocks. EKWB says it is not up to EK standards which are said to be subpar in terms of cooling performance. EKWB has addressed this issue and will be releasing new water blocks and monoblocks for X399 using a redesigned cold plate. Over at EKWB’s Discord channel, EKWB says the old design was made by previous employees that already left the company. 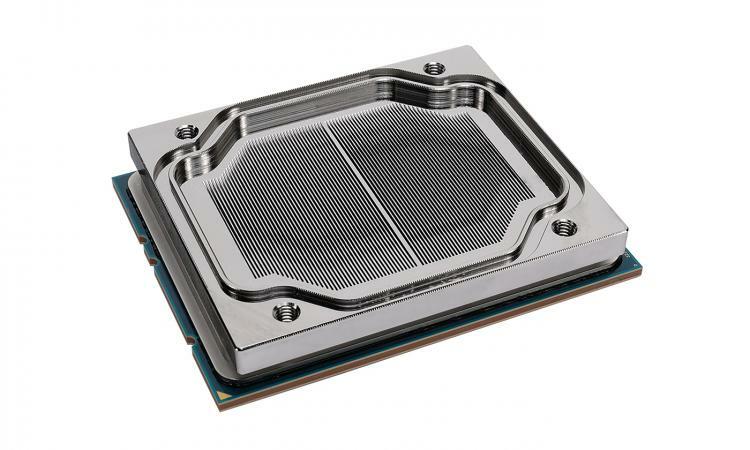 They also affirm the new water block using the redesigned cold plate will perform better than the old design. 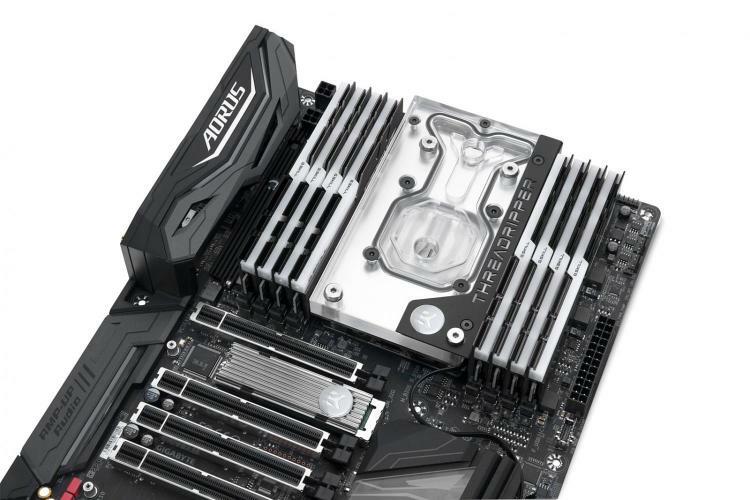 EKWB is offering owners of EK-FB ASUS ROG ZE RGB Monoblock a free upgrade kit wherein they can replace the old design cold plate with the redesigned cold plate. The free upgrade kit will come with free shipping, just contact EK support team at www.ekwb.com/support. 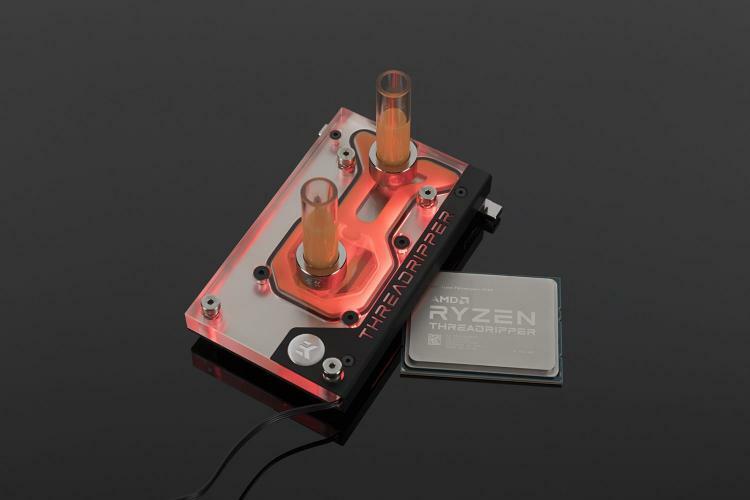 For owners of the EK-Supremacy EVO Threadripper Edition CPU water block that made their purchase before the 24th of November 2017, EKWB is offering a €/$25 Coupon Code. EKWB says it cannot be upgraded with the new cold plate since it uses a different locking mechanism to the new redesigned cold plate. To claim your coupon code, just contact EK support team at www.ekwb.com/support. Read the full apology letter from EKWB here.